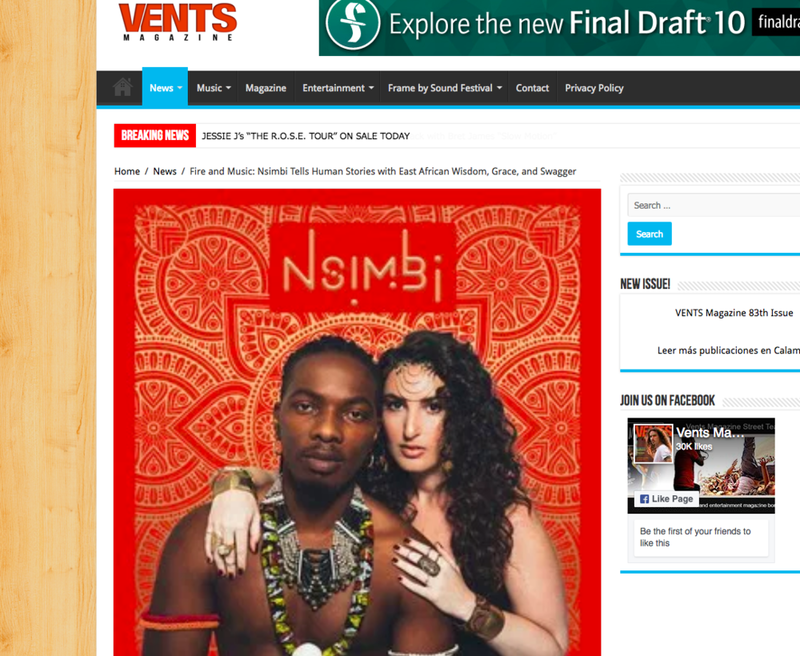 Nsimbi Reviewed by Financial Times as "Afropop dynamism!" Thanks to Dope Cause We Said for featuring Miriam's "Who We (Morsy Remix) & Firedance EP! Miriam makes her 2nd appearance in major media outlet Your EDM! This time, they write about her "Who We (Morsy Remix)" and music video, and it's more love! Obscure Sound gives gorgeous review of "Who We (Morsy Remix)"! Miriam talks to Golden Mixtape about her sonic influences, "Firedance" & "Who We" remixes, and upcoming plans! Thanks to Most Addictive for such a beautiful review of "Firedance (Morsy Remix)" and Miriam's music video collaboration with Breakdance Project Uganda! Global Dance Electronic shares Miriam's Firedance EP as well as her remixes in this great review! Celebrity Cafe reviews Miriam's remixes and music videos for "Who We" and "Firedance"! Miriam talks to Indie Source about "Firedance (Morsy Remix)" ft. Breakdance Project Uganda, her relationship with Uganda and the global community. The Huffington Post loves "Who We (Morsy Remix)" and "Firedance (Morsy Remix)!" Firedance EP and "Firedance (Morsy Remix)" Ft. Breakdance Project Uganda music video are beautifully reviewed by Contemporary Fusion Reviews! Thanks to Ellenwood for reviewing "Firedance (Morsy Remix)" music video ft. Breakdance Project Uganda! Check out Miriam's feature in Italian This Is EDM Mag for her "Who We (Morsy Remix) music video! Check out the music video premiere for Miriam's "Firedance (Morsy Remix)" ft. Breakdance Project Uganda on Your EDM! The official video for "Who We (Morsy Remix)" was spotlighted on The Fresh Committee. Watch the official video here! Thanks to all at Sound & Silence magazine for premiering Miriam's "Who We" Live video. You can check that out - here! Miriam is in the process of booking several West Coast dates! To make sure you get notified when new shows announced be sure to follow her on bandsintown!